Welcome to the Barton upon Humber Civic Society website. In the following pages you will find more information about the activities of the Society and its values. You will also be able to keep up to date with latest news and events. The Beck after restoration by the Civic Society. The 2019 programme of talks and events has been published. Click here for details. The Burnby Hall Gardens and Museum Trip 2015 report is available to read here. The Darfield Museum Coach Trip 2014 report is available here. For more Civic Society news please click here. 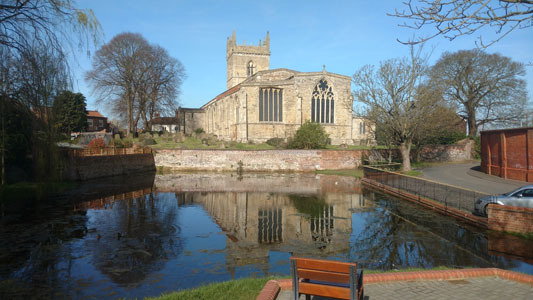 For more information about the history of Barton upon Humber please visit www.inbarton.co.uk. To return to this page at any time during your visit to this site simply click the round Barton upon Humber Civic Society image on the menu bar. Copyright 2019 Barton upon Humber Civic Society and www.inbarton.co.uk.